Chongqing Peoples Liberation Monument is regarded as the commercial center of the Yuzhong District in Chongqing. There are a lot of stores, bookstores, theaters, bars, and hotels around it. The largest snacks street of Chongqing city is 300 meters away from here. Tourists can experience the local customs of Bayu culture, enjoy local food and buy various kinds of souvenirs. 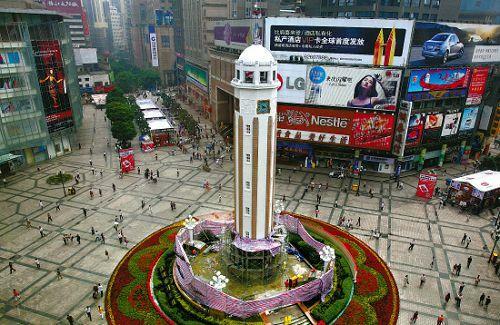 Chongqing Peoples Liberation Monument is the largest pedestrian street in the western China. 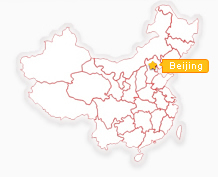 So its called the first street in the west of China. Chongqing Peoples Liberation Monument is located in the crossing of the Mingzhu, Mingquan and Zourong Road in the Yuzhong district. Its 27.5 meters high. There is a revolving ladder, through which travelers can get to the top of the monument. Formerly a wooden structure, the monument was firstly built up on March 12th, 1940. This day is the anniversary of Dr. Sun Yatsens death, so the monument is called Spirit Fort. It was rebuilt in 1945 to mark the victory of anti-Japanese war, with the name of Monument to the Victory of Anti-Japanese War. In 1950, Liu Bocheng renamed it Chongqing Peoples Liberation Monument. All kinds of good food can be found here. All interesting places of Chongqing gather here. According to what related foreign magazine says, Chongqing Peoples Liberation Monument is where the rate of emerging beauties is highest. Hence, if you go through here, dont miss the place that is most worth visiting.